The installation process can be hard on fiber optic cabling. Cables or trunks can be damaged (broken or cracked) if pulled improperly, impacting performance. Lots of tension or stress on the jacket, or a very tight bend radius, can also cause damage. Depending on the project, installation may need to occur in a small or limited-access space, making proper installation even more difficult without having lots of room to work. Thankfully, there are ways to minimize potential fiber cable damage during installation. Using pre-terminated trunks, for example, can reduce the potential for problems associated with field termination (high insertion loss, low return loss, longer installation time, etc.). But pulling pre-terminated trunks can also lead to damage if not done correctly, with connectors being knocked off during the installation process. Pulling eyes can help solve this problem, making it easier to pull pre-terminated Trunks. A latched connector can be attached internally to the cable, and a flexible gripping cord can grip the jacket and distribute pulling tension to reduce damage. At the end of the gripping cord is a pulling eye. By attaching a hook through the pulling eye, installers can successfully pull fiber cable through ductwork (conduits, trays and raceways) or a small, tight space. In pre-terminated assemblies, pulling eyes (with a protective sock) can also protect the connectors at the cable ends to ensure proper performance once the system is up and running. If they’re designed and constructed properly, pulling eyes can assist installers in feeding cables into patch panels. Instead of using cable ties, an attachment point can snap directly into a patch panel. The new pulling eye is included on our 12-fiber double jacket 4.8 mm cables (coming soon for fiber greater fiber counts). By using low-pressure molding technology to apply more pulling force to the cable, these pulling eyes allows installers to pull with up to 100 pounds of force as compared to 30 pounds permitted by typical cross-web technology. The pulling eye also allows for faster removal to keep installation on track. As compared to the 5+ minutes it can take to undo a pulling eye, this new pulling eye can easily be removed in seconds by cutting the connection tab – nothing has to be uncrossed or untied. As the lightest and smallest in the industry, the new pulling eyes on LPM fiber trunk assemblies allow for faster removal, improved airflow, better cable routing and easier patch panel attachment. The new pulling eye from Belden for other fiber-count constructions will be ready by the end of 2017 (or sooner). Learn more here. Carlos Matos manages existing fiber connectivity product families and identifies potential fiber product development opportunities. 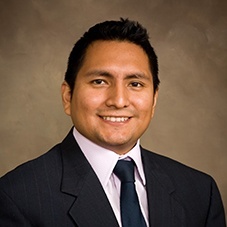 With his nearly 16 years of industry experience, Carlos specialties include network infrastructure, IT, data centers and LANs (local area networks).